The latest predictions are that more lawyers will move services to the cloud this year. After a decade of the digital interconnectedness known as the internet, platforms and services have stabilized and security is less of a concern. Gartner points out that even the most conservative enterprise level financial firms are migrating data and business functions to cloud computing providers. Small law firms have been taking advantage of software-as-a-service (SaaS) for years. Now larger practices are changing their IT infrastructure to cut costs and improve scalability by partnering with cloud computing providers. This article discusses the popularity of cloud solutions for law firms. What are the most common types of cloud services that law firms utilize? 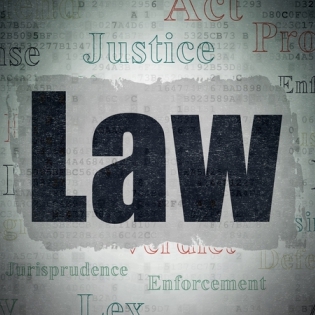 Law firms of all sizes are now capitalizing on the efficiencies found in cloud technology. Having data stored in remote data centers and delivered through the internet on demand is a lower cost option when compared to staffing the employees, hardware, and software that is required in an on-site server room. Cloud computing providers can manage the security of data with sophisticated software tools, and storage is always pay-as-you-go via a monthly subscription. This evens out the budget spikes that remain a standard feature of on-premise infrastructures. The scalability of cloud services. Adding more bandwidth to accommodate client workload fluctuations would normally require the purchase of additional computers and software. When business slows, this equipment is less productive, creating an imbalance in ROI. With the cloud, you simply pay for data and service, as you need it. The mobility of the cloud. Today, lawyers can dial in from a remote location and securely access client files, research, billing, or other documents. Having the ability to access files or emails from a courtroom is an incredible benefit. Too, the ability to collaborate on documents is improved with cloud technology. Instead of sending large files back and forth, attorneys and paralegals can dial in and work on files in a secured site. The security and continuity of the cloud. Cloud computing providers have the highest level of software, hardware, and human expertise devoted to keeping your data safe. The computer hacks you’ve probably read about at big firms like Cravath and Weil Gotshal happened at on-premise server rooms. That’s because internal IT teams often view security as one of the many pieces of their jobs, while cloud computing providers have entire teams devoted exclusively to that function. These are just some of the benefits of the cloud. But what applications and workflows are lawyers now outsourcing to cloud computing providers? Get a free assessment of how your firm can cut costs and streamline applications in the cloud. The convenience of electronic signatures has been a small but crucial change in how lawyers do business. These cloud vendors offer secure encryption that allows clients and lawyers to safely sign off on documents even by using their cell phones. Some of the vendors in this field include RightSignature and DocuSign. Improving workflows by using case and client management software is an efficiency that many law firms seek. These providers offer secure cloud storage with search features, calendaring and scheduling, and more. Some typical vendors in this space include Clio and Rocket Matter. How lawyers manage documents is perhaps one of the most crucial backend functions of case law. That’s why outsourcing to document management firms has been so important. These providers offer secure storage and file sharing, and document collaboration and version control features. Some of the more common vendors include DropBox and NetDocuments. Managed IT service is another type of cloud computing provider that can assess your current technology workflows, and then develop options to streamline the efficiencies of your firm. Cloud service technology providers such as TOSS C3 can manage vendor relationships, set up a private cloud, or shore up the cybersecurity of your firm. Request a quote on managed services.